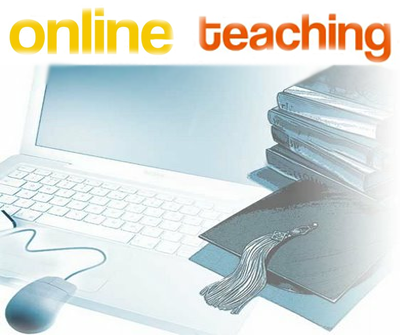 More and more teachers are earning extra money by teaching English online. It's somewhat of a legal loophole that allows teachers who can't work outside of their place of employment to earn extra money. Since it's online, there's no payments made to local banks. It's usually done via Paypal or to a bank back home. Also, since it's online it's more flexible; you can do it any time. Another advantage is that you don't have to pay for transportation. You can teach in your living room. Once you decide to teach online you will have to decide if you're going to go with a company or venture out on your own. There are a ton of companies out there that need teachers to work online. I've heard really good things about Open English but you will need to know Spanish in order to work there for them. It's an established business. People trust them and aren't afraid to pay for class. Page rank. They'll come up higher in the search results. Platform. They usually provide an online platform for you to teach your classes on. Materials. You may have to create your own curriculum. Hard to get students. You may have to compete with other teachers to get students. Hours and vacation. You may have to work odd hours and not get any vacation. Some people decide to skip the middle man and teach English on their own. There are a number of books out there, such as how to teach English online, taking you step-by-step through the process. Amazon has some good books as well like Teach Online: Make Money Doing What You Love and Teach Online: Develop Your First Online Course. You're in control. You can set your hours, choose the curriculum, decide how much to charge, etc. It's a start-up. You'll have to work harder finding students, a platform, making your own material, etc. No matter if you decide to work for a company or on your own, teaching English online is a great way to earn extra money. You might also be interested in reading about supplementing your teaching salary and earning money online.